I know, I have been a bit irregular for some time now. However, I can't help it, as it's my professional responsibilities that aren't letting me time to compose posts about what's happening in my gardening space. I would like to apologize for keeping you waiting for the update on the new things happening in my space. I have a lot of things to share with you all, but, it's the dearth of time that isn't letting me do it. Anyways, continuing with the new post. Currently since it is the transition phase between summer and winter, as the climate is changing from hot to cold, the garden at my place had gone blank. It’s been months since this year’s blooms of Rajnigandha (Tuberose) stopped, and so did the beautiful blooms of (Madhumalti) Rangoon creeper, and that of the vinca. My pots went on being only green for some time, until, I sprinkled the marigold seeds from the last year blooms, that I collected and stored away to be used next year. 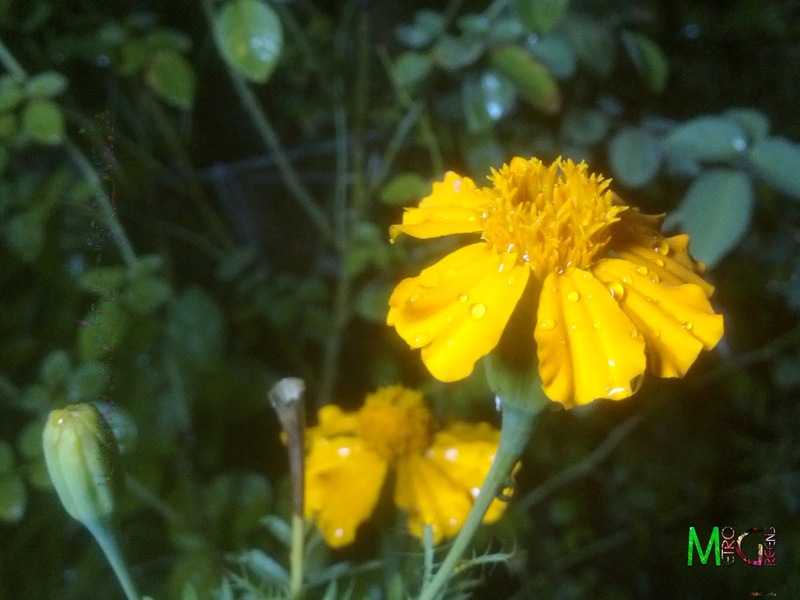 The rains went by, and came up my marigold seedlings. Since I had sprinkled the seeds in almost all the pots, except a few of my beloved roses, seedlings came up and grew over the period, silently, to give me blooms at a time when all other plants would stay idle. 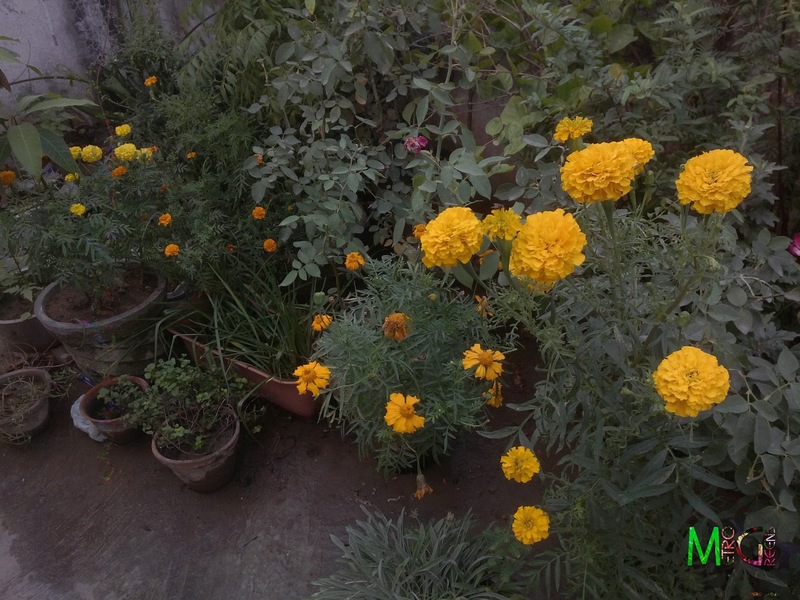 Now-a-days, almost all of my pots have some marigold plants that are blooming. 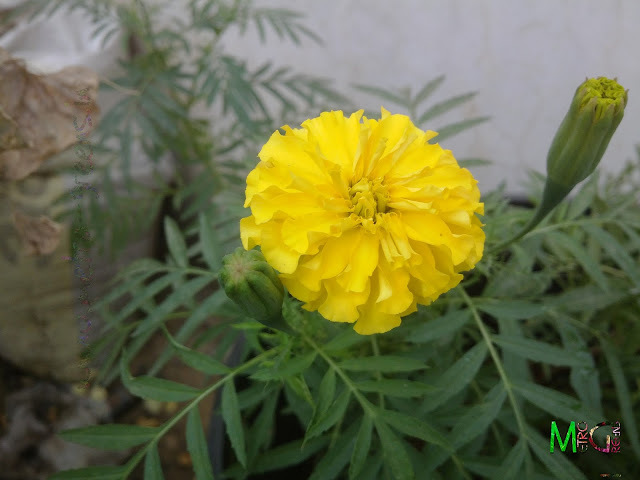 Since I like to have variety, I had collected and planted different varieties of marigold plants/seeds from various sources like the local nursery, the mobile plant sellers and even from marigold garlands. I can see yellow-orange-dark orange blooms in my gardening space, and that adds to some colour to otherwise monotonous green. Of all, there’s one marigold plant, which has amused me the most. The thing about this plant that has amused me to this extent is its height. Even after being in a relatively small pot (as compared to the regular ones I use), this plant has reached a height in excess of 6 feets (the last I measured using a measuring tape was 6.2 feet), and I haven’t seen any marigold plants reaching such a height, although, I haven’t seen a lot of those, except seeing them in pots, on land in gardens and a few times in farms too. 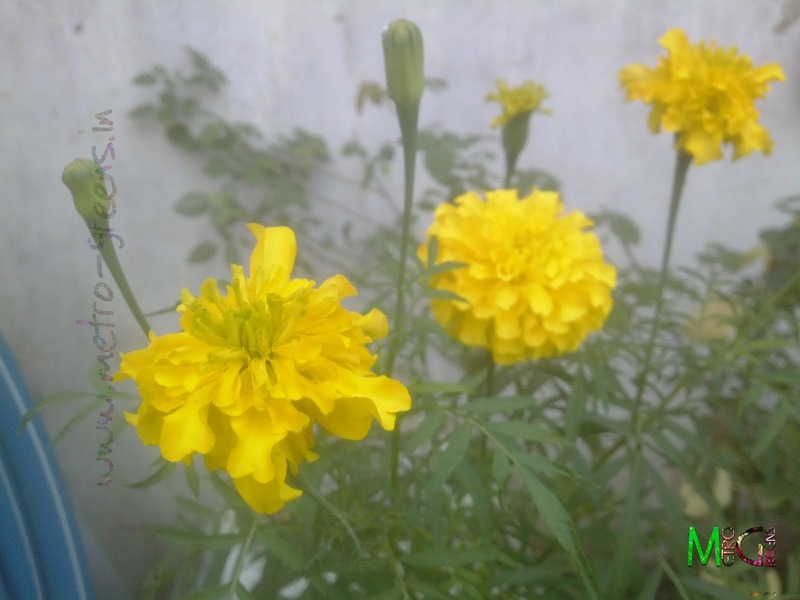 So, for today, I'm leaving you all with some beautiful shots of some varieties of marigolds that I have been planting since last year. Some of these are really a treat to watch in real, and the numbers of colours these beautiful plants bring in, in your gardening space is also unmatched. Moreover, these plants being pretty easy to grow and being non fussy about their growing conditions, these plants are much better to have for newbies. A marigold bloom, one of the varieties, in between the lightest yellow and the darkest orange varieties I have. 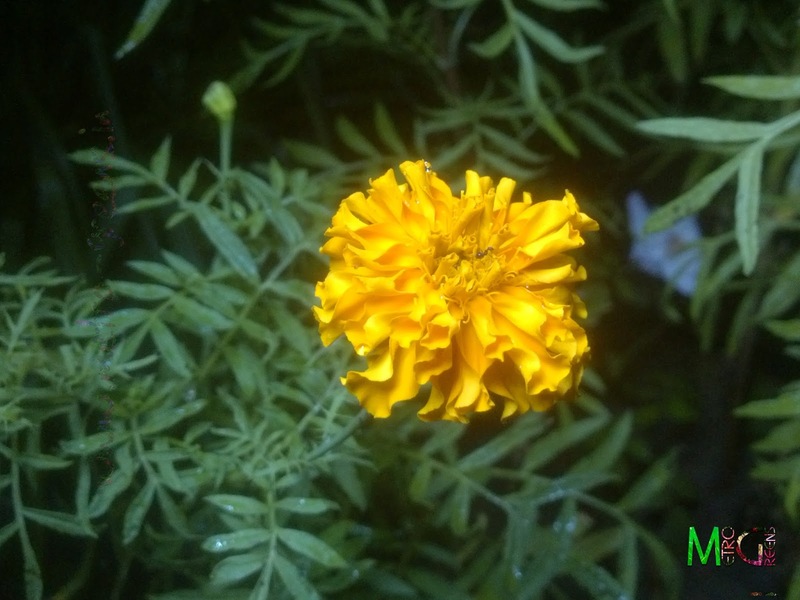 Another marigold bloom, this one shot in night with artificial lights, after I watered all my plants. I'm having two colours in this variety too. The other one in this variety is predominantly in yellowish colour. Another marigold bloom, this one shot in night with artificial lights, after I watered all my plants. This one is still blooming, and will take around two more days to achieve full bloom. A shot showing a number of marigold plants I have planted. 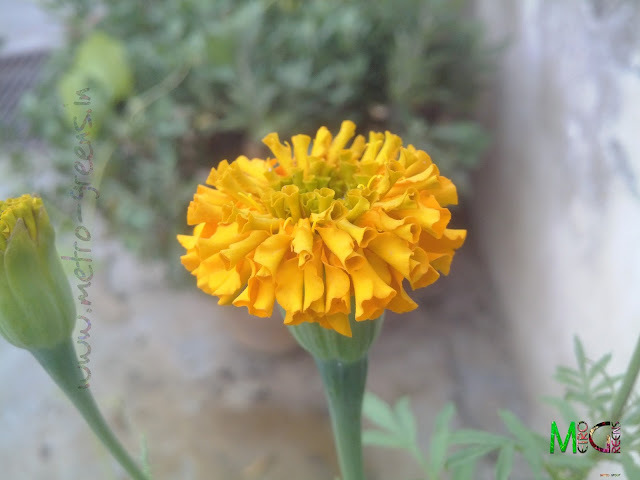 A yellow coloured marigold bloom. An orange coloured marigold bloom. This will achieve full bloom over the next 4-5 days. 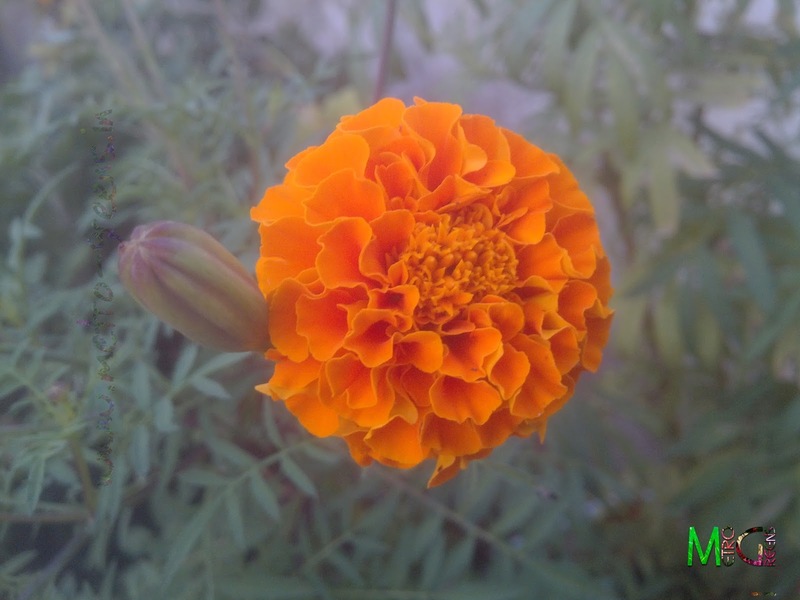 An orange coloured marigold bloom from a different variety. 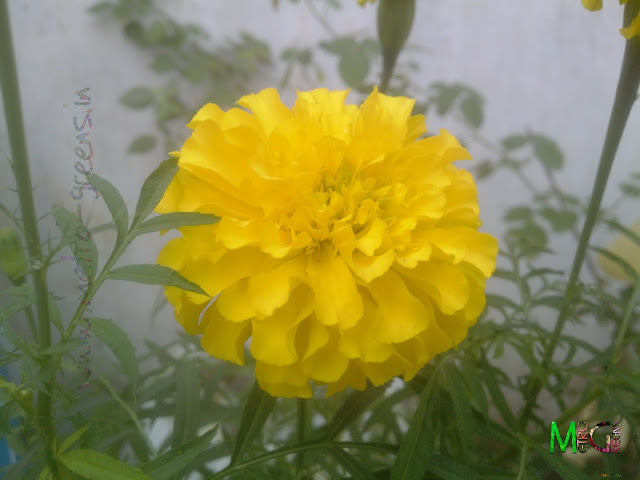 Another yellow coloured marigold bloom in full glory. Some more yellow marigold blooms. 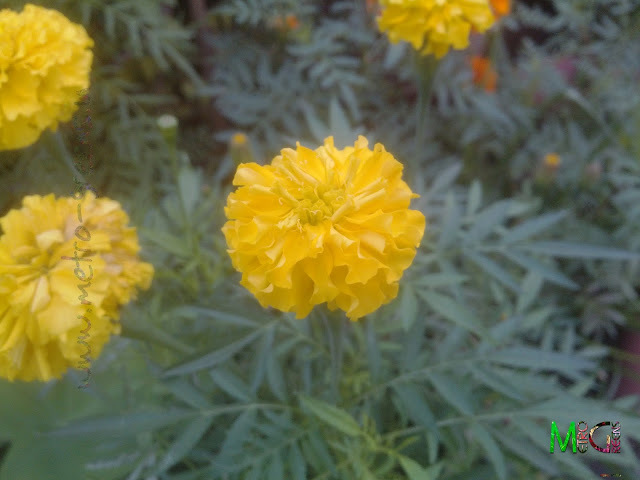 The marigolds are in different blooming varieties and different hues of yellow to orange thus totalling to around five varieties based on colour and 4 varieties based on the blooms. I hope this would be a feast for the eyes till I work on the new post. I'll try to be more regular and keep you guys updated with the latest happenings in my rooftop container garden. Till then keep trying and HAPPY GARDENING! Marigolds are the most cheerful of flowers ! Reliable too ! You're very right hoehoegrow :) Thanks for stopping by and commenting.